Hikaru Adachi has come to Andross Station to discover what happened to colleague and fellow Inquisitor Katya. Thane, a tracer, has arrived at the station seeking a bounty on Galen Horn, one of the Unity of Planets’ most wanted men. They will find their paths cross as their interests intersect, and soon they are on a hunt that is more dangerous than they know, for Horn has enlisted some dangerous allies, including one from Thane’s past. If Thane and Hikaru together can’t bring Horn down, he will set in motion a plot that will see the entire station destroyed in an attack of massive proportions. I thought the premise of this book sounded really good. It turned out to not really be what I was hoping for. It started off strong with the two main characters arriving at the plant , each for their own reasons, and having an immediate connection. They quickly learn their missions overlap and they join forces to catch the bad guy. I liked the world this was set in and I thought the world building was pretty good. I was interested in it and in all of the different characters, human and alien. I also like both of the MC’s. As it unfolded though there wasn’t much to it. The mystery plays out easily and there was no real tension or excitement. There was also very little done in regards to the romance between the two MC’s. I thought everything had a bunch of potential but fell flat. I would have loved to see this be a full length novel but as it is the book was just ok for me. The cover was done by Natasha Snow and I think it’s really well done. It’s eye catching and fits the story very well. This entry was posted in Book Reviews, Books, eBooks, LGBTQ Book Reviews, M/M Book Reviews, M/M Fiction, M/M Romance and tagged An Ali Review: On Andross Station by J.C. Long, author J.C. Long, LGBT Science Fiction, m/m science fiction, NineStar Press, On Andross Station by J.C. Long. Success can mean a lot of things. To me it meant living a lie and getting away with it. But pretending is exhausting. My sister’s wedding in Italy was exactly what I needed. A week on the Amalfi coast with sunshine, wine, and zero complications. Too bad the universe saw an opportunity to ruin that plan. Because what could be more complicated than the arrival of an attractive man who sees right through my act? One that is determined to remind me that you can’t hide who you really are. No, I need to keep this thing under control. I can’t give in. But what if, just once, I didn’t fight it? After a series of bad decisions, running away to Italy seemed like the perfect escape. A fresh start in a new country. Nothing, and no one would bring me back to Ireland. When I meet Adam at my friend’s wedding, I’m captivated. There’s something about this rugged stranger that makes me forget that I keep messing up every part of my life. I know it’s a bad idea and I know I’m playing with fire. But when anger turns to passion I know I can’t stay away. He can pretend all he wants but that man belongs in my bed. He might only be here for one week, but I intend to make the most of it. After all, I can’t ask him for more when I’m not sure I’ll stick around. But what if, this time, I didn’t run? I thoroughly enjoyed His Heart or Mine (Individualists #1) by C.S. Joyce. The first in a new series, it also marked the first book by this author for me. Told in alternating points of view, we see two men bound for a destination wedding in Italy. For Adam, it’s his sister’s wedding he’s attending. He’s an Irishman so deeply in the closet that he doesn’t even admit to himself that he’s gay for fear that he’ll lose the tight control he’s administered over his life all these years in denial. On the other side of the aisle? That would be Jacob, coming in to see the groom, his friend from medical school get married. Jacob lives in Rome, Italy, a place he fled from Ireland after failing from completing med school with Michael. Jacob is happily out, teaching English, but feels a failure on so many other fronts and is about to run into the one man that will want him to change his fleeing ways. Oh instant love. What a hard thing to get right and a theme I normally don’t go along with. Except here, in His Heart or Mine, the characters are so well done, the attraction and arguments for their chemistry so believable, that I connected to both men immediately. The author was quick not to dwell too long on any one factor, moving back and forth like you would in a good personal exchange, keeping the dialog lively and compelling. You got it why Adam couldn’t stay away from Jacob. And while the opposite was also true. These two men were made for each other. As they argued, kissed, and kept coming back for each other, the secondary characters sort of blended into the background. That was a shame. I often feel a strong cast makes for a stronger story. I would have liked Michael and his bride to have had just as strong an impact on me as to give us more insight into the lead characters. I mean these two mean the world to Jacob and Adam, let us see why. The backdrop of Italy, including Rome, is a lovely setting for most of this story and it adds to the flavor of their relatoinship and romance. I could feel that wonderful Italian heat soaking into everything through the vivid descriptions. In short, this was a terrific romance with great characters and it will make me seek out more by this author. It will certainly have me waiting for the next release in this series. Love contemporary romance? Be sure to check out His Heart or Mine (Individualists #1) by C.S. Joyce. Its one I definitely recommend! Cover Art: German Creative Design. I like this cover. That certainly looks like Adam but it could have used a backdrop otherwise its too generic. 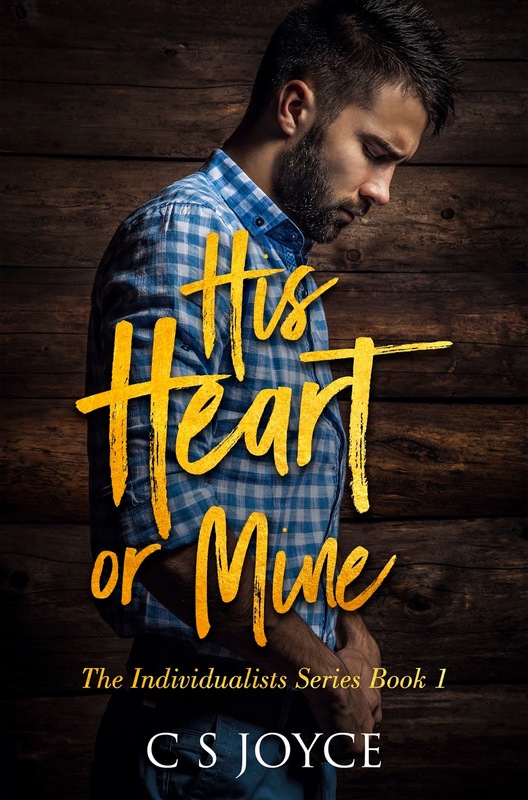 This entry was posted in Book Reviews, Books, Contemporary fiction, eBooks, LGBTQ Book Reviews, M/M Book Reviews, M/M Contemporary Fiction, M/M Fiction, M/M Romance, Uncategorized and tagged A MelanieM Recommended Story, A MelanieM Review: His Heart or Mine (Individualists #1) by C.S. Joyce, author C S Joyce, closeted character, cpming out, His Heart Or Mine (The Individualists #1) by C S Joyce, The Individualists Series by C S Joyce. Homeless for over two years, Merl has hunkered down to endure a second winter in Eden, Colorado. He has lost the ability to trust or accept kindness as anything but a sneaky attempt to weaken for an attack. He sells aluminum cans and other trash to survive, knowing he should attempt to get back into the mainstream but he lacks the will to try. Nate has led a sheltered and privileged life as the only child of wealthy older parents, now deceased. He is working on a photo journalism piece about the homeless people in Eden when he first encounters Merl. The big man impresses him so much that when an early blizzard hits, he goes back to the camps try to bring Merl and others to shelter in his own home. Can he win Merl’s trust and cooperation in an effort to provide positive long term help to other homeless people in the area? Even more important, can he forge a real partnership with the suspicious older man? This story left quite a bit to be desired for me. It was written well but I just think it needed more depth and length to get me to connect to it. The story is honest about some homelessness in the world but I felt that it romanticized trying to help. Nathan is apparently so taken with his very short interaction with Merl that he risks everything to bring others into his home. I don’t know if it was supposed to be a life altering experience for him but it just seemed to jump the gun on why he was doing it. Merl pushes him away but quickly changes his mind and suddenly they are talking about long term without anything else really happening. I just felt that this was a quick jump into bed and it didn’t feel like it could really be long term and at the same time we weren’t given too much to connect with the characters. The cover art by Written Ink Designs is nice but I didn’t feel it showed the characters well. This entry was posted in Book Reviews, Books, Contemporary fiction, eBooks, M/M Book Reviews, M/M Contemporary Fiction, M/M Fiction, M/M Romance and tagged An Alisa Review: Homeless in Heaven by Deirdre O'Dare, author Deirdre O'Dare, Homeless in Heaven by Deirdre O'Dare, JMS Books LLC. Scattered Thoughts and Rogue Words is happy to host Andi Van on tour for Magic Wept, the new release in The Mages’ Guild Trilogy. Welcome, Andi! Once upon a time (the early 1990s), before the dawn of the internet as we know it, there was a BBS (that’s “Bulletin Board System”, and we had to use actual phone lines to dial into them via modem) in which I ran a role-playing group set in a mages’ guild. My character’s name was Trivintaie, and she was a redheaded mage with a penchant for mischief. Yes, she was THAT Triv. The same Triv that starts off the whole Mages’ Guild Trilogy. When I decided to revive her and write the trilogy, I knew I couldn’t make her the main character. Her time had passed, and too many other people had taken part in creating her guild for it to really be mine. So I set the trilogy a thousand years in the future and gave her world a new hero. What I didn’t expect was that I’d pack it with such a diverse set of characters, most of which reflecting some part of the rainbow. It was completely unintentional, but once I realized it was happening, I was thrilled. One of my goals was to give young adults—and adults not quite so young—characters that maybe they could identify with in a way they might not have been able to before. So I’d like to introduce you all to some of the new characters in the second book of the trilogy, Magic Wept. And now, on to the characters. The character I’d like to introduce you to today is Emlynn. Emlynn is a very short giantess. Yeah, I know, it sounds funny. But it’s true. Giants, in the trilogy’s world, are roughly twenty feet tall when they’re adults. Em, who is fully grown, is seven feet tall. This is like having a fully grown person the height of the average toddler. Among the giants, she’s made fun of for her height, and is understandably touchy about it. I hadn’t intended it when I created her, but I’d like to think she serves as a reminder that physical differences shouldn’t matter, and people shouldn’t be judged on them. As the saying goes, it’s what’s inside that counts. I adore Emlynn. She’s got a huge heart, and once she’s around people who love her as she is, she absolutely shines. Like with Jorget, I had a choice of pulling an excerpt for Em from the beginning of the story, or from the end, where she’s gained some confidence. For her, I opted to pull something more from the middle. She’s starting to come into her own, and it’s showing, but she’s also not completely sure of herself. “I can cast fireballs,” Jorget said, sounding rather pleased with himself. “From the ceiling,” Emlynn said under her breath, though she gave Jorget a bit of a grin when she did to let him know she was teasing. Apparently he got the message, because he stuck his tongue out at her. “It’s fine,” Kelwin said, having expected it. He was fairly useless if they came across a serious threat anyway, and this way he could keep an eye on Jorget. The guy was definitely talented, from what he could tell, but he had no idea how to focus. Some time on the isle with Triv and the others would take care of that, but that would have to come after their foray into the depths of the mountain. There was a flutter of wings, and Bahz landed on Emlynn’s shoulder. The bird had to be heavy, and his talons had to be gripping the giantess painfully, but she merely turned her head with a look of vague surprise on her face. Did the girl ever show strong emotion? I know the way, Bahz said. It’s safest if I’m up front as well. “We’re all going to die,” Jorget muttered to Kelwin as they found their place in the middle of the small group. “Necromancy is forbidden,” Emlynn reminded him from the front of the group, Bahz still riding on her shoulder, quite at home there. Jorget has no surname, no blood kin, and no hope of using his magical ability while he remains at Archai Castle, where the mad king reigns. With magic still outlawed, every experiment he performs could cost him his life. 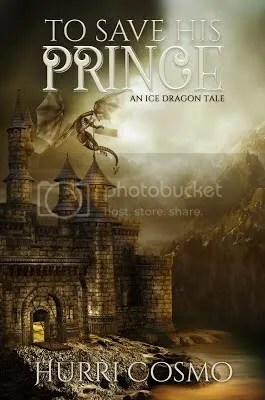 So when his mentor, the royal priest Denekk, is ordered to send Jorget on a journey to find a magical weapon, the young man jumps at the chance to prove himself. What he doesn’t realize is that things are never as simple as they seem. Kelwin Tiovolk has settled into life in the Mages’ Guild of the Dragon’s Claw with his beloved, guild leader Tasis Kadara. But when word arrives that the king is searching for something to destroy the guild, he knows he has to leave behind the comfort of his new home to save what Tasis worked so hard to rebuild. With enemies around every corner, Jorget and Kelwin need to pull off a miracle in order to save the guild. Luckily, they’re more than ready to stand strong together and keep what’s precious to them safe. Andi Van is a foul-mouthed troublemaker who lives near San Diego with a baseball bat that’s forever being used for things other than baseball, and a fondness for rum and caffeine (though not necessarily together). Andi is fluent in three languages (English, sarcasm, and profanity), and takes pride in a highly developed—if somewhat bizarre—sense of humor. 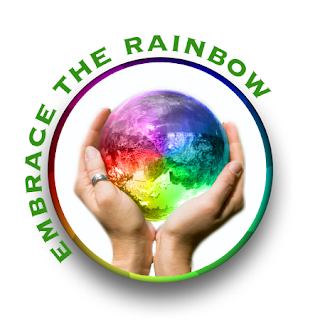 This entry was posted in Book Giveaways, Book Reviews, Book Tours and Contests, Books, Dreamspinner Press, eBooks, Fantasy, Harmony Ink YA Press, LGBTQ Book Reviews, LGBTQ YA Fiction, Uncategorized and tagged @DefiantAndi #newbookrelease #MagicWept #giveaway, @dreamspinners, author Andi Van, Fantasy / Gay / Queer-Spectrum, Magic Wept (The Mages' Guild Trilogy #2) by Andi Van, The Mages' Guild Trilogy by Andi Van. Hurri Cosmo lives in Minnesota where she holds tight to the idea that there, where it’s cold a good part of the year, she won’t age as fast. Yep, she avoids the truth as much as she avoids mirrors. 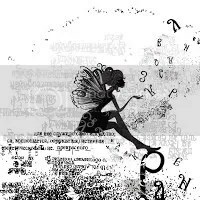 But one of the reasons she loves writing is reality doesn’t always offer up a “happily ever after” and being able to take control of that is a powerful lure. Being a happy ending junkie, writing just makes them easier to find. Oh, she doesn’t mind “real life” and she does try to at least keep it in mind when she writes her stories, but she truly loves creating a wonderful couple, knowing they will fall in love and have their HEA. Every – single – time. And, of course, that is exactly the reason she loves reading this genre, too. Give her a glass of red wine, some dark chocolate, and her computer, whether she is reading or writing, and she will entertain herself for hours. The fact she actually gets paid to do it is Snickers bars on the frosting on the cake. This entry was posted in Book Giveaways, Book Reviews, Book Tours and Contests, Books, eBooks, Fantasy, LGBTQ Book Reviews, M/M Book Reviews, M/M Fiction, M/M Romance, Uncategorized and tagged #promo #mmromance #mpreg #giveaway #preorder, @HurriCosmo #newbookrelease #ToSaveHisPrince #giveaway, @RABTBookTours, author Hurri Cosmo, To Save His Prince by Hurri Cosmo. Read Scattered Thoughts and Rogue Words review here. We definitely recommend it! Author C S Joyce is infatuated with love, romance and the complexities of relationships. In her novels she tries to capture that elusive spark of love and add a little magic of her own. She writes contemporary MM romance with a dash of humor thrown in, because love and laughter go great together. 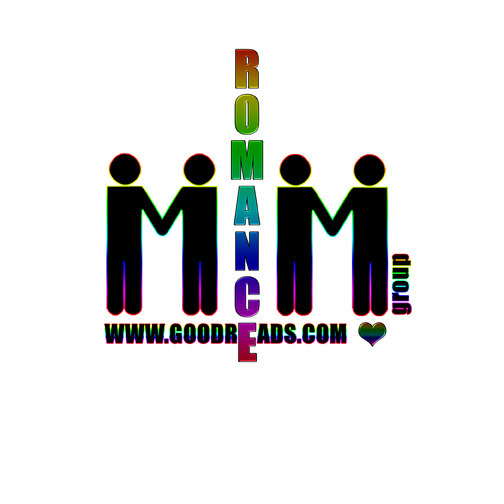 This entry was posted in Book Giveaways, Book Reviews, Book Tours and Contests, Books, Contemporary fiction, eBooks, LGBTQ Book Reviews, M/M Book Reviews, M/M Contemporary Fiction, M/M Fiction, M/M Romance, Uncategorized and tagged author C S Joyce, closeted character, coming out, His Heart Or Mine (The Individualists Series #1) by C S Joyce, Signal Boost Promotions, The Individualists Series by C S Joyce.